From their very first genre-defining album, American Football has discovered what it is to be a quintessential melancholic indie band and after a lengthy, they had to rediscover it all over again. Like many other artists who have been creating music since the last century, their music has changed while also maintaining its original roots. For those of us who revelled in emo rock, youthful angst still occupies the dark melancholic part of our hearts. Listening back on emo bands is like a time capsule and it is difficult to figure out how emo could ever grow up or evolve. American Football’s LP3 is just that album. There are many reasons why their sound has evolved. Number one, they are actually adults now, some with kids and houses and general adult fair. In addition to adult grown-up life, their extended hiatus had a huge effect on their sound but LP3 seems to be the album where American Football sounds most at home. Sometimes when you hear an intro to a track, you just know it’s going to be good. “Uncomfortably Numb” is one of these tracks. It is an honest harmonic piece of art, with Hayley Williams’s voice woven into the track with an ease that makes you wonder why she isn’t featured more often. And therein lies the wonder of this track. It is a bittersweet track explaining the intricate balance between parenthood, being a child and growing old. A once off collaboration like a fleeting moment in time. American Football have never been known for their plebeian time signatures and “Silhouettes” uncommon rhythm is both unnerving while also feeling like home. A long track, clocking in at over 7 minutes, its repetitious vocal and droning accompaniment have the potential to wear thin, but they have created a thick soupy richness that is difficult to escape from. An undercurrent of sadness, ironically, brings “Life Support” to life. It is the most measured track on the album but it is far from boring. A delicate undercurrent of strings infuses romance into the downright depressing lyrics. 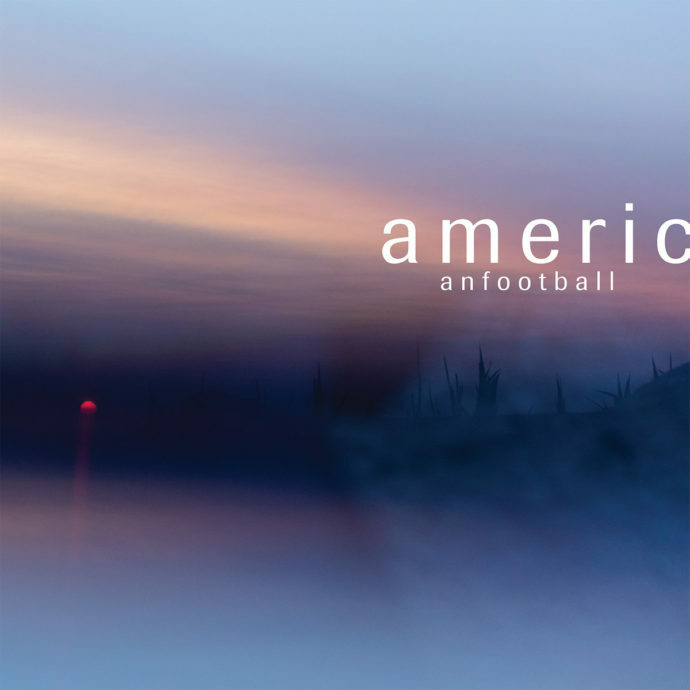 The addition of acoustic guitar brings back memories of angsty teenage love songs, but American Football knows better than to depend on that trope. With this track, they enabled the melancholic sound of the late 90’s/early 00’s to become less impulsive and more steady and dependable. “Doom in Full Bloom” is much more self-indulgent. A lulling acoustic intro signals the trumpet section to join in this pacifying-ly honest and pure track. A syncopated rhythm steers the track from calm to cautious optimism. The lyrics suggest the blindness of love and planning for the future however, the track is seeping in bittersweet melody, so much so that you have to think that the love may not last. It is lonely, alienated and ultimately romantic to its core. Definitely the peak of the album and arguably the peak of American Football’s mature progressive emo catalogue. There is a space created by this album that may appeal to those who were part of the original 90’s emo audience. This album elaborates on the definition dad-rock taking it from an embarrassing regurgitation of past music to a new familiar sound bringing empowerment to an aging generation of impressive musicians. With the addition of singers and child choirs, the loneliness of emo life seems to have melted away, allowing for the rest of the world to peer in. LP3 is, therefore, a vulnerable musical creation that would make any poetic, lonely teenager jealous, no matter their age.